It is recommended that epoxy is finished with some sort of varnish with UV protection. Some epoxy companies claim to have UV protection but it is nowhere near the amount of protection that varnish provides. 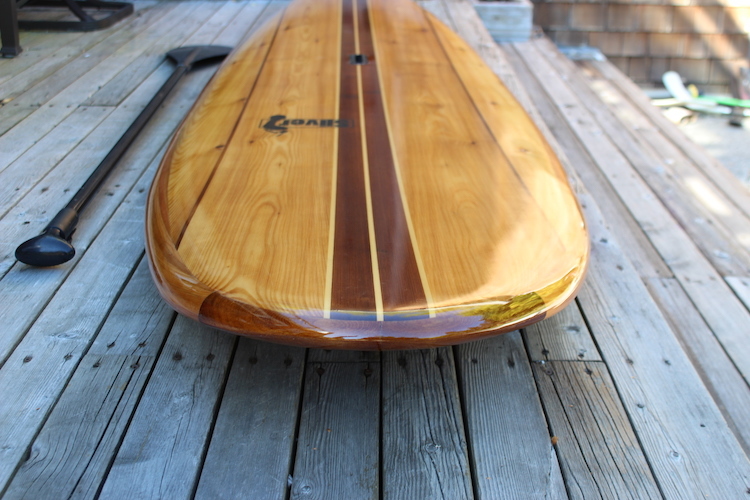 Traditional boat building varnishes like Epifanes are great for boats but may be too soft for paddle boards. Most of what you read about varnish is based on boats that are outside twenty four seven. Most paddle boards are stored inside or in a board bag and it’s questionable if any finish is actually required. The biggest benefit of varnish in my opinion is that it’s an easy way to both protect the board and make it look awesome!! 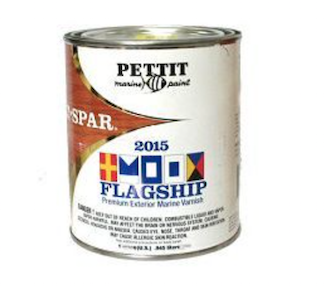 Pettit Z-Spar Flagship Varnish is a solid choice in a modern spar vanish. It has six times more UV inhibitors than their standard varnish, as well as excellent abrasion resistance and a high gloss finish. Best of all is it is fairly inexpensive and easy to apply. 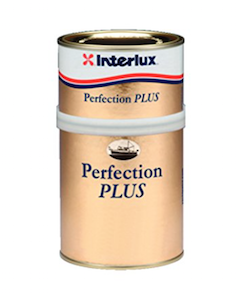 Interlux Perfection Plus – A two-part polyurethane similar to catalyzed automotive finishes. This is a high gloss marine varnish that provides superior UV protection and prolonged resistance to abrasion. The Plus formula is Interlux’s most durable finish that they claim lasts up to four times longer than conventional one-part varnish products. Marketing hype maybe? It works very well and has many board building fans. 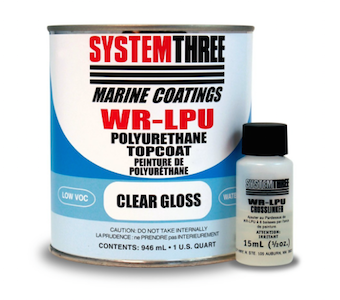 System Three says: WR-LPU Topcoat is a two-part linear polyurethane coating specifically formulated for maximum performance and ease of use. It is super cool in that it is water based like modern automotive clear coat but it is the most finicky product of the ones listed. The paint by itself cures to a very high-quality coating, without the crosslinker. However, the addition of the crosslinking material produces a tougher and more durable film with better better gloss retention.